16th January 2017 | filed under Aesthetic Treatments, Skin. Hair removal techniques such as waxing can be painful and bothersome, especially if you have excessive hair growth. If you prefer non-medical and effective hair removal techniques, at the Aesthetic Skin Clinic we offer laser hair removal treatments to ensure you receive a professional and effective treatment to manage excessive or abnormal hair growth. Other hair removal techniques aren’t as effective – or as painless – as laser hair removal. Waxing is one of the most painful hair removal options, as it removes hair from the root while also grabbing onto the skin. The hair is advised to be at least a quarter of an inch long so that the wax can properly adhere to the hair and pull it. Unfortunately, it also means that hair needs to grow between sessions, which can be quite bothersome. Shaving and depilatory creams, for example, are quite painless unless an allergy or a cut is present, but they produce less efficient results. While waxing can keep the hair from growing back between three to six weeks, shaving and depilatory creams remove hair at skin level. You’re likely to see hair regrowth the next day, which isn’t convenient. Excess hair can be troublesome for both men and women. With excess hair growth conditions, such as hirsutism, the excess hair can be quite traumatic. Although common, hirsutism can still be an embarrassing condition for women to experience. The hair typically grows dark and thick in areas like thighs, face, chest, neck, lower back, and other areas where men typically have hair. Further issues such as acne, oily skin, and irregular periods are added symptoms for hirsutism sufferers. The condition can be caused by the excess of androgens in the body, the male hormones, or develop on its own with age for unknown reasons. Other medical conditions such as polycystic ovary syndrome, certain medication, Cushing’s syndrome, or obesity can be possible explanations for hirsutism, even if less common. 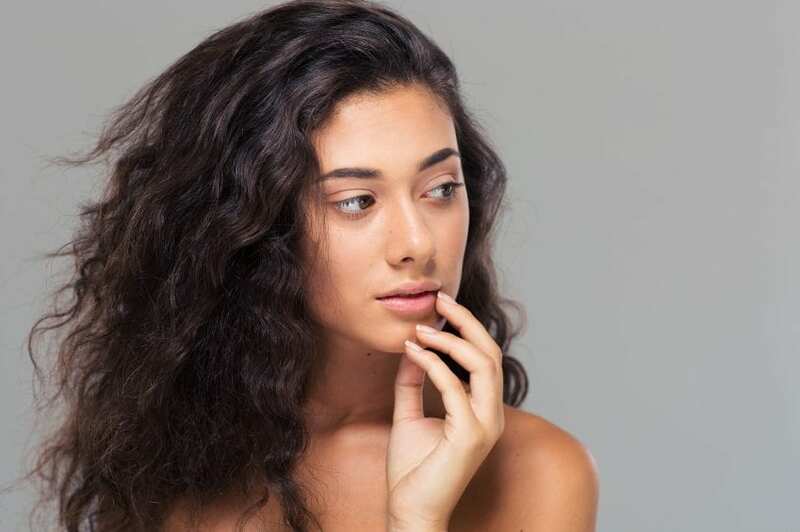 Hirsutism shouldn’t be confused with hypertrichosis, which unlike hirsutism is related to excess body hair anywhere on the body and not simply on male-associated areas. Self-consciousness due to these hormone imbalances can be deeply affecting, and hair removal or reduction techniques are ways of managing both excessive and unwanted hair. Considered to be one of the most technologically advanced hair removal systems on the market, the Soprano is often a preferable choice due to both the comfort level and the effectiveness achieved by the treatment. The Soprano targets the melanin pigment in the hair, which attracts and then absorbs the energy that the machine’s handheld device releases. With the gradual and extremely precise motions of the device passing over the treated area, the controlled build-up of the heat causes damage to the hair structures. In response, the hair falls out over a period of two to three weeks after the session, and hair regrowth won’t reoccur in the treated follicles due to its hair growth ability being compromised. This treatment functions through controlled flashes of light, which are subsequently absorbed by the hair follicles. The hair is compromised at the root, which means that there is both a retarding and an obliteration of the hair that stunts its growth considerably. As the laser targets melanin, darker coloured hair is more effectively targeted than lighter hair. We can, however, apply an artificial pigment to light coloured hair to allow for effective treatment. It’s advised to not have tanned skin before treatments, as it will reduce the success of the hair removal. The laser’s energy needs to focus on the hairs’ melanin, and white skin aids in targeting the follicles properly. Laser hair removal is less painful than waxing; the sensation of the pulses is similar to a slap of an elastic band, and it feels like a hot flick on the skin. It’s ideal for low pain levels, as it can be well tolerated by most people. As a safe and rather painless procedure, laser hair removal won’t affect your daily life. There is no downtime after each treatment, and you can easily go about your life straight after the session is over. No anaesthetic is required during the procedure, which should last between 30 minutes to two hours depending on the treated area. Up to 10 treatments can be required to completely treat all follicles but, unlike waxing, you can shave between sessions and know that it won’t interfere with your hair removal treatment. As every session is conducted every six weeks, it’s good to know that you can go about your life like you want to! Our professional team understands the emotional effects of excessive hair growth, both for women and men, and as such we always guarantee a compassionate and expert experience. Contact us today to book an appointment and discuss the ideal treatment for you. Alternatively, you can find us on Facebook, Twitter, and Instagram.